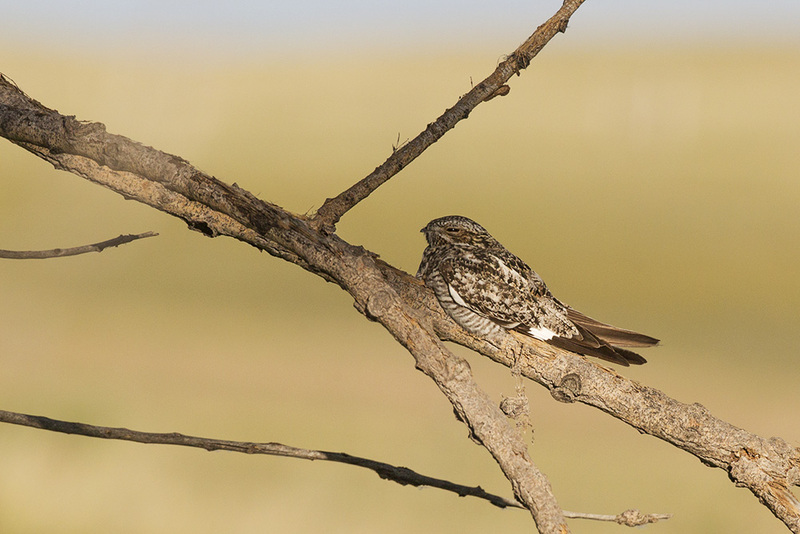 A common nighthawk (Chordeiles minor) in Wyoming, USA. A jungle nightjar (Caprimulgus indicus) in southern India. This, as I realized later, was in fact a nest. To someone who began birding in the old world, the new world nightjars are an odd bunch. At first glance they all look the same: cryptically colored that aids their wonderful camouflage on their daytime roosts. While I have had the fortune of seeing several of the old world nightjars up-close, the American version(s) — called nighthawks – have been elusive. I’ve had fleeting glimpses of them in flight, and have heard them regularly, but finding a daytime roost for them has been impossible. The fact that I wasn’t looking is of little significance because finding a daytime roost is more about serendipity than skill for a casual birder. 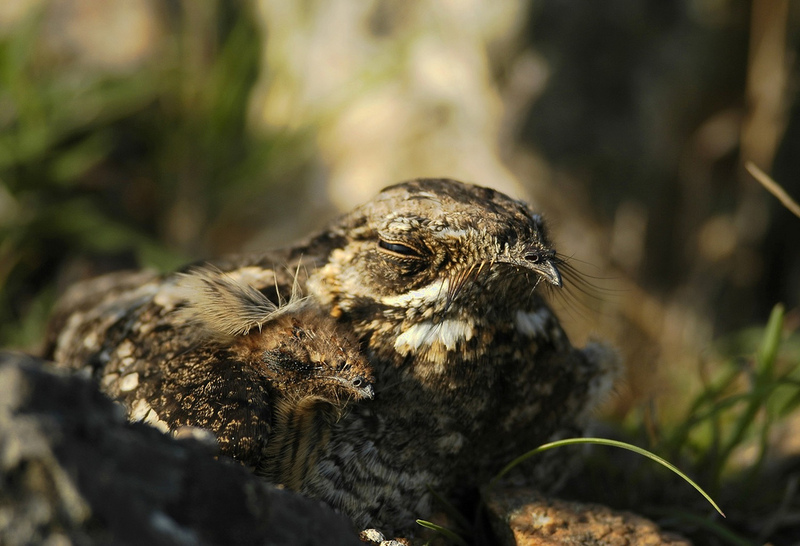 Now, nightjars and nighthawks know that their cryptic coloration works. While they are not as sure of their camouflage as frogmouths are, they are still very sure. That means, they will sit very still until someone breaches their comfort zone, which usually means they think that their cover has been blown. We were out in the yard cleaning out storm-killed branches and twigs at my in-laws’ house a few days ago. That hauling and dragging of deadwood was enough to spook a nighthawk that took to the skies. That was that serendipitous moment I was, well, waiting for. I now knew where to look for a potential nighthawk roost. After the wood clearing activity ended and calm returned to the neighborhood, I made regular strolls in the hope of seeing a resting nighthawk. It turned out that I didn’t have to take too many of those strolls. Easy!